Living without plastic, today, seems almost impossible unless there are major changes at the systemic level. That is precisely what the Commission proposes, to initiate a social reconversion that allows the Earth to stop becoming a landfill. The European Commission has presented this May 28, a new package of measures that aim to reduce the production of plastics and pollution caused by the dumping of some products, especially in the seas and oceans. Among the measures proposed, it includes the prohibition of plastic objects (usually single-use) such as cotton swabs (for personal hygiene), cutlery, and drinking straws. The set of measures proposed by Brussels focuses on the ten single-use plastic products that are found on beaches and in European seas, as well as in different fishing gear. All these materials represent 70% of all marine litter, according to the community executive. The aim of the package of initiatives, therefore, is to reduce by half the waste of these products with the aim of avoiding damage to the environment that would entail costs of 230,000 million euros in 2030 and the emission of 3.4 million tons of carbon dioxide (CO2) that same year. First, the European Commission proposes to ban certain plastic products for which there are alternatives "available and economically accessible". 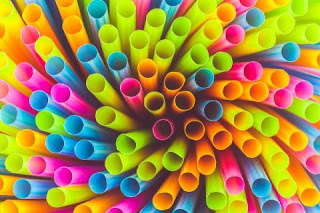 This prohibition will apply to sticks, cutlery, plates, drinking straws, drink agitators and balloon rods, which will have to be manufactured "exclusively" with sustainable materials. I do not want it to be misunderstood. These products will not disappear; they will only be made with other materials," the vice president of the European Commission, Frans Timmermans, explained at a press conference. In addition, plastic beverage containers will only be allowed if the design allows the lids and caps to remain attached to the rest of the product. The draft of the Directive would also require new labeling to warn about how to dispose of plastic and the environmental impact of products such as sanitary towels or balloons. In addition, if Community legislation is passed, Member States could be obliged to collect 90% of disposable plastic bottles starting in 2025. As for the producers of plastic, according to the community proposal, they will be asked to help cover the costs of waste management and cleaning such as bags of chips and sweets, as well as mentioning on the labeling the environmental impact of sanitary napkins, wet wipes or balloons. The European Commission also calls for an effort to the fishing industry, responsible for 27% of the garbage that accumulates on the beaches of the EU, so that the producers of fishing gear based on plastic will have to "defray the costs of the collection of waste by port reception facilities and those of their transportation and treatment ". The EC proposal does not expressly provide for a new tax on plastic, an initiative that is part of the public debate on these polluting materials, although the vice president of the Commission, Jyrki Katainen, said that the Executive continues to "consider" moving in that direction . The Commission hopes that the European Council, representing the EU Member States, and the European Parliament, which represents the citizens, will convert the legislative proposal into Community legislation before the elections to the European Parliament next May. "Single-use plastics are not an intelligent option from an economic and environmental point of view and the proposals presented today will help companies and consumers to evolve towards sustainable alternatives; Europe has the opportunity to take on the leadership", has highlighted the Katainen. In this way, Brussels goes beyond the Organization for Economic Cooperation and Development (OECD), which suggested last week that tougher taxes be imposed on the manufacture or use of new plastics, for example, by making consumers pay for single-use bags - something that will be mandatory in Spain from next July 1, although it already occurs in many stores - cutlery or drinking straws made of plastic. From the environmentalist left group of the European Parliament The Greens / ALE, EQUO Spanish MEP Florent Marcellesi applauded that the Commission tries to tackle the problem of plastic, because "without a policy change, in 2050 there will be more plastic in the oceans than fish." Also the environmental organization WWF celebrated in an official notice the initiative of the EC, whose measures suppose an "essential step in the good direction", although it requested that to the countries that endow themselves with "ambitious reduction objectives" and requested that Brussels demand more efforts to the fishing industry. In the same line, the NGO alliance Rethink Plastic considered "alarming" that, given the "urgency and the scale of the problem", the proposal does not contemplate specific reduction objectives for the EU countries and called the European Parliament and the States members to equip themselves with those objectives.